The complete book and lyrics of forthcoming David Bowie musical Lazarus is to be published. The show’s script and lyrics will be published by Nick Hern Books, marking the release of one of Bowie’s final projects. 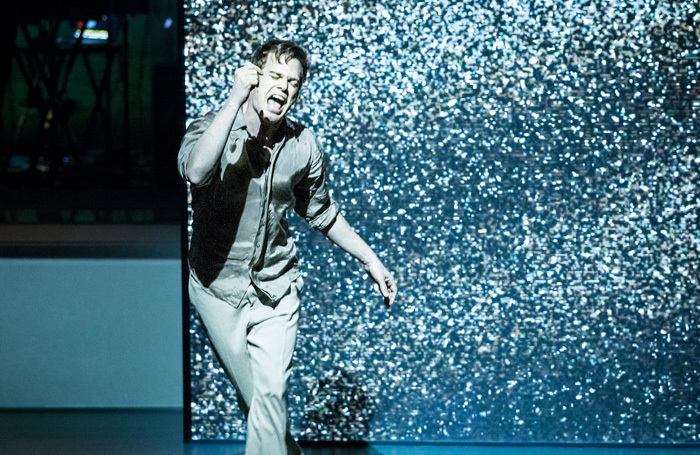 Lazarus: The Complete Book and Lyrics will contain the full script of the show – based on the novel The Man Who Fell to Earth – as well as the lyrics to the 17 songs featured in the show. These include Bowie tracks such as Life on Mars? and “Heroes”, as well as three new compositions. It will also contain an introduction from the musical’s co-writer, Irish playwright Enda Walsh. Lazarus, currently in rehearsal, officially opens at a purpose-built 960-seat theatre in King’s Cross , London, on November 8, with the volume to be published by Nick Hern Books on November 10. Earlier this year, the play text for Harry Potter and the Cursed Child sold nearly 850,000 copies in its first week  on sale, making it the best-selling play since records began.